Did y’all know that October is Fair Trade Month? Well, it is. When you buy Fair Trade products, you help support farmers and workers to better local communities around the world. Through Fair Trade, underprivileged families are able to eat better, provide better education for their children and improve their health and home. You can find out more great info on Fair Trade Month here, along with a pretty nifty interactive flow chart. To celebrate, I’ll be giving away one BIG box of Fair Trade goodies to a lucky reader! And y’all? You want this box. I know because I have this box and can attest to how totally amazing it is. After traveling for weeks, I arrived home late Sunday night to find a big box at my doorstep full of Fair Trade goodies such as agave nectar, honey, chocolate, tea, quinoa, coffee, chocolate covered banana chips, lip balm, soap and more. It was like the ultimate Easter basket….in October! Here’s a complete list of what you will find in the a-a-a-amazing prize box, along with tips on how to use the products from the Fair Trade website, as well as their Twitter name in case you love and want to support what they do! · SunSpire Organic Chocolate Chips: Bake with these delicious chocolate chips to add a little bit of Fair Trade to your desserts! · TCHO x 4 (@TCHOchocolate): TCHO is serious about chocolate: from knowing where their Fair Trade Certified cacao comes from to re-imagining what it means to taste chocolate. You’ll find yourself using words like “fruity,” “citrusy,” or “nutty” to describe this flavor experience. · Rishi Tea Pu-erh Ginger (@RishiTea): Pu-erh Ginger is a full-bodied blend of spicy ginger and orange peel with Fair Trade Certified organic Pu-erh tea. Rishi’s Ancient Tree Teas are produced exclusively by the remote mountain villages of Yunnan, whose economic well-being and cultural traditions are intertwined with the ancient trees. · Madhava Organic Fair Trade Agave Nectar (@MadhavaSweet): Madhava’s Agave Nectar is made from the natural juice of the Weber Blue Agave plant, which is organically grown and sustainably farmed in the Sierra Madres region of Mexico. It’s a perfect addition to oatmeal, smoothies, iced tea, cocktails and more. · Near East Quinoa Blends (@NearEastDish): A balanced blend of Fair Trade Certified quinoa (pronounced KEEN-wah) and whole grain brown rice for a delicious, high-protein meal that helps fund organic conversion, leadership training and infrastructure improvements in rural Bolivia. · Green Mountain Coffee Roasters (@GreenMtnCoffee): In 2000, Green Mountain Coffee Roasters became one of the first roasters in the U.S. to offer Fair Trade Certified coffees. Now they’re the largest purchaser of Fair Trade Certified coffee in the world! · Just Love Coffee Roasters (@justlovecoffee): Just Love Coffee Roasters combines their love for specialty Fair Trade Certified coffee and helping those in need. For every cup you drink, they donate a portion of their proceeds to adopting families, non-profit organizations, and the arts. · Hand in Hand (@handinhandsoap): I love this triple-milled soap for its 100% natural ingredients, moisturizing shea butter, gentle glycerin, and philanthropy. Not only does each Fair Trade Certified bar save fifty square feet of rainforest, but for every bar of soap sold, Hand in Hand donates one more to help prevent water-related illness in children in developing countries. · Traditional Medicinals: Organic Fair Trade Nighty Night – Feeling restless? Organic Nighty Night is an aromatic balance of slightly minty, mildly bitter and sweet, with notes of spice and citrus – the perfect way to relax at the end of your day. · Traditional Medicinals: Tea Mug with Cover – Curl up with your favorite cup of Fair Trade tea with this cute Traditional Medicinals tea mug. It even comes with a handy cover to make sure your tea stays warm! · Badger Balm (@BadgerBalmUSA): Badger Balm began working with Fair Trade USA in 2005 to develop its first line of products using Fair Trade ingredients. From the Creamy Cocoa Moisturizer to Lip Tint & Shimmers, their products are made with rich, organic and Fair Trade Certified cocoa butter, leaving your skin feeling refreshed and silky smooth. · Glory Bee Fair Trade Comapi Honey: This rich Fair Trade Certified honey is produced in the Caatinga Scrub Forests of Brazil and has helped fund the construction of a local school, a community center, and new projects around safe drinking water. · Fair Harvest (@fairharvestfood): Looking for an exotic twist to your favorite dish? Fair Harvest has a line of Fair Trade Certified gourmet dessert sauces inspired by original recipes from around the world. I will be giving away one big Fair Trade box full of goodies! To enter this giveaway, just leave a comment on this post. I will pick a random winner Monday night (10/22) at 10pm PST. This giveaway is sponsored by Fair Trade USA. No purchase necessary to enter or win. Giveaway only open to legal residents of the United States. Eat, Live, Run is not affiliated with Fair Trade USA and thus, assumes no responsibility for late or lost-in-transit prizes. This looks amazingly delicious. And products to get behind! This is such a generous giveaway. I would just like to congratulate you on the success of your book. I enjoyed reading your book tour posts and seeing the pure joy on your face. All the best to you. What a fun giveaway! I love the variety of things in the gift basket–and that they are all fair trade! Such a great assortment of Fair Trade goodies! Love Fair Trade and all it stands for! Thanks for the giveaway opportunity Jenna. What a fun box of goodies! Fair trade is a great cause thanks for highlighting it! What a fantastic giveaway! I’m in! mmm…. i love green mountain coffee! This is so awesome! I’d like to get involved in buying Fair Trade goods! Great stuff! And it’s all fair trade, Awesome! This is a wonderful collection for so many reasons! That’s a lot of interesting stuff! Yum! Would love to get this fun basket and support such an awesome cause! Thanks for reminding us of Fair Trade Month! What an amazing assortment of fair trade products in your basket! Great giveaway – thanks for highlighting such an important issue, Jenna! Great combination — good food and good purpose! This basket makes my mouth water and my heart smile 🙂 Thanks for hosting Jenna! What a great box of goodies that I would love to try! Would love to try all those lovely products! Love the assortment of items! What a great box of goodies for a give away and a great cause to support. Love the idea of fair trade! Amazing purpose! Great giveaway, thanks, and a great cause! This is an amazing box! I’d love to win it. Thanks for hosting it. Great giveaway! And thanks for the tip about fair trade month! looks awesome!! I would love to try out this basket of goodies! All of these products look great! I love that this giveaway is for such a good cause, too. Amazing! I buy organic, fair-trade coffee at my local farmer’s market every Saturday, but I think I need to work on buying more fair-trade products. Happy Saturday! Thanks for bringing fair trade to the forefront! It isn’t something I usually think about, and that should probably change. This is great! I didn’t know so many of my favorite brands were free trade! MMM what a wonderful giveaway! Now that’s my kind of giveaway. Love Fair Trade! These products look great and love that they are practicing free trade! Such a great giveaway! It’s great to see a giveaway that, while filled with awesome things, is also supporting such a great cause! Thank you Jenna! Love the focus on free trade! This looks amazing. I love the idea of fair trade. Awesome-such a feel good giveaway-and taste good too! Would love to win, t hanks! Great giveaway! I would love this!!! I love buying fair trade certified products. I have not tried many of these products so I would love to win! The box looks amazing! Thanks for offering the giveaway! I love the idea of Fair Trade items! Great giveaway for a great cause. Thanks for doing this! huge tcho fan, right here! Oh fun! One of my favorite fair trade companies is Equal Exchange! Their chocolate is amazing, as is TCHO who I am visiting next month while in San Francisco! That looks incredible and supporting a great cause. Yum! All of that looks delicious! What an amazing giveaway! Thanks so much!! What a great group of goodies!! I love that you are doing this-fair trade products are so important! I try to buy fair trade when possible so this box looks awesome-and I’ve only tried a few of these products, so I’d love to be introduced to be FT things! Great to see more fair trade labels that I hadn’t known about before! This looks like an amazing collection of goodies and the fact that they’re fair trade makes them even better! I’m all about supporting fair trade, so thank you for the references and recommendations. This box of goodies looks amazing!! Love your blog! I try to buy fair trade products whenever I can. What an awesome giveaway! Thanks for sharing! Definitely products to be on the lookout for….wonderful giveaway! Fantastic! Great products you can feel good about. The Badger Balm is wonderful; I would love to try out the others! This box looks great- I’d love a box of these goodies! Everything looks amazing – great giveaway! It all looks delicious! Especially the ginger tea! Fair Trade is one of my favorite things to support. Thank you for helping to spread what they do and an opportunity to win some delicious treats! THIS LOOKS AMAZING!! It’s cool to find out I already buy a few of these products- yay Fair Trade!! I always try to buy fair trade and organic! Food justice is a huge issue for me, so I support the types of food I want to see populate the earth. This is such a great giveaway! I would love to try out these fair trade goodies! Looks like some amazing new things to try! Thank you for hosting. What a great combo of items! There’s no such thing as having too much chocolate or coffee on hand. Would love these goodies and all that they stand for!!! I have no idea about this concept. Sounds great. Thank you for sharing. I love helping others. This giveaway looks delicious, and a great cause too! Would love 2 add 2 my pantry! This looks awesome! Thanks for the giveaway! I didn’t know it was fair trade month but I’ll make an effort to pay attention at the grocery store! Thanks for the awesome giveaway! Awesome giveaway! Would love to try all this stuff! What an awesome giveaway Jenna! wow an amazing giveaway! delicious, beautiful, and healthy! Would love to try everything! Fair Food is the new Organic! I’d love to win this box. This box looks fantastic. I think fair trade is such a cool concept. Wow! What wonderful collection of Fair Trade goodies! What a fun giveaway that I’d like to win! YAY for Fair Trade ! Sometimes we have fair trade days at work and we get to sample all the Fair Trade items in the store! Lots of goodies for a good cause and I love Badger Balm! Such a great giveaway for an amazing cause! looks like some fun goodies! Wow, everything in that basket sounds absolutely delicious! wow this all looks so great and thanks for the reminder that it’s fair trade month! I’ve been traveling for almost three months now, so I’d love my own special mug to drink from! Awesome! I’m so intrigued by that Fair Harvest dessert sauce! I would love all these items! Love that you’re doing this giveaway! This looks delicious! Thanks for this opportunity. PS – Will your book have a kindle edition? WOW! What an amazing giveaway! Help for everyone … how nice. I never knew this was fair trade month! So glad for the awareness blogging brings! I had no idea that these products are fair trade! I’m obsessed with Badger and Traditional Medicinals, and I love Sunspire’s carob chips because I can’t have sugar or regular chocolate often. The basket looks incredible, and thanks for the link to the Fair Trade website! Everything in the box looks amazing! Love Fair Trade Month! So glad that you can use your blog to bring awareness to important issues and causes! Three cheers for Jenna! What a great variety of fair trade items ! Looks delicious! What an awesome collection for a give a way! jenna this is awesome! what a great way to promote awareness of this important cause!! thanks! This is a great package! I’d love to cook with some of those items! Thanks for the giveaway! Love the variety of postings on your blog, Jenna. I had no idea it was fair trade month…or that there WAS a free trade month! I would love to enter. What a great collection of products! Thanks for a fantastic giveaway! Great items, and even better that they’re fair trade! This giveaway is so great! Thanks for doing it Jenna! This looks so fun and who doesn’t love supporting fair trade? Thank you for the opportunity to win this! I am glad to have more information on a such a great cause as well! All these products look great!! What a great giveaway, love Fair Trade! Thanks for the giveaway opportunity! Jenna, thanks for introducing us to this website. What a wonderful giveaway! I am crossing my fingers. Fair Trade for the win! This looks wonderful and a great cause! 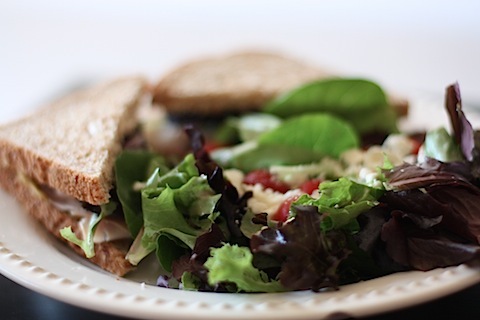 I’m a new reader of your blog, but love your recipes! Just made your crock pot chickpea, butternut squash and red lentil stew last night! And now a great giveaway too! Jackpot! Someone is gonna be a lucky winner! What a wonderful cause – and giveaway! We just had a baby a week ago and this goodie basket would be lovely to receive!!! When I think of “fair trade” I usually just think of coffee… it’s nice to see all of these other products! I’ve been thinking a lot about fair trade and responsible buying lately. Love this post. Thanks! A s a Returned Peace Corps Volunteer, I am all about Fair Trade and helping build communities and creating jobs in developing countries! I would love this box of goodies :-). Though tough to choose, I think the chocolate chips would be my fave! What a great giveaway! Thanks for promoting such an important cause. What an awesome giveaway! I’ve just been seeing some more fair trade items popping up in my local grocery stores so I’ve been very interested in this recently. The chocolate covered banana chips sound sooo good! Never would have though of that. Ohhh my goodness… that looks like a little peace of Heaven in a box! It’s nice to know that there’s a website to go to in order to find Fair Trade companies! Great products and great cause! I often buy free trade products for gift giving – what a fabulous giveaway! That box looks AMAZING! I hope I get chosen! The box of Fair Trade products looks amazing! This is a great giveaway! I love supporting fair trade groups! What a great giveaway idea! All of these products look amazing…Would love to try them! Omg what an amazing giveaway! I always buy fair trade but it’s so expensive for me. It would be great to win. This sounds like such a great company…would love to get this goodie basket! Wow…what an amazing box of goodies! I didn’t realize October was Fair Trade month but I think that’s great to raise awareness. This giveaway looks amazing! I would love to be able to stock up my pantry with such amazing products! Crossing my fingers. what a great box of yummy things 🙂 and for a good cause. thanks! So neat! I haven’t heard of so many of these products and would love to give them a try! wow, what a great collection of goodies! and a great cause as well. i hope i win! Wow what a great box of stuff and for such an amazing cause! 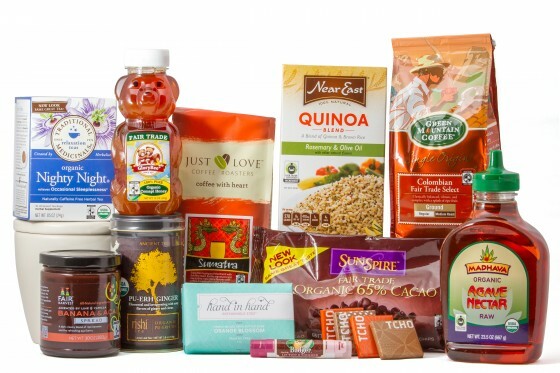 What a great way to spread the word about Fair Trade, I would love to win this box of goodies! what an awesome basket of delicious!!! Thank you for the opportunity to try these FT products and for including their websites. I will look at these today. What an awesome give away! I love Fair Trade! What a wonderful basket of goodies! I would sure enjoy sitting down with a hot cup of fair trade tea or coffee this winter! Love this idea. It would be a great gift for a foodie. I try to buy as much fair trade stuff as I can, and this is awesome! Who knew quinoa could be fair trade?! I hope I win! Looks delicious, and such a great cause! What a great collection! I love that there is a month to celebrate fair trade! Love all of these products!! Such a great giveaway. I love coming home to a surprise package of goodies! What great products for a great cause! I would love to win these goodies! Amazing. I’d love to win it. What a cool giveaway, I’d love to win! What a beautiful basket of goodies!! I try to buy Fair Trade whenever there is an option, I feel good knowing that I can make a difference in someones life. It’s the right thing to do. Love it and just found your blog recently, it’s great! I eat those sunspire choc chips frozen by the handful. They are awesome. Love agave and quinoa, hope I win! This is such an awesome give away! P.S. I love that nighty night tea! What a great giveaway! Everything in the bundle looks amazing! I knew about Fair Trade coffee, but hadn’t given much thought to other products. I would love to win this giveaway, all of the products look amazing!! I try to buy Fair Trade products as often as possible. It makes me feel like I am helping promote human rights in a tiny way and the products always seeem to be wonderful! Thanks so much for this post. This looks like an awesome giveaway!! I would LOVE to win it! I love the idea behind Fair Trade and try to support their efforts when possible. I would LOVE to win this box of goodies! Great giveaway and such a good way to get the news out there about Fair Trade! Great giveaway and products! Thanks for highlighting Fair Trade. Easter in October sounds great! I’d love to try all those goodies! This is such a cool giveaway idea! I try to buy fair trade as much as possible so this is an awesome give away!! Won’t it be amazing when one day, we’ll open our friend’s pantry and find it stocked with fair-trade products? Let’s pray that this is a reality we will see soon! Thank you for the chance for this great give away! Awesome giveaway! Thanks for writing about this topic! I had no idea fair trade month was even a thing. Yay for giveaways! Wow! Such an awesome giveaway! It doesn’t get much better than yummy goodies that help people live better lives and support their families! What an amazing spread of goodies! id love to be able to try all these out and learn about these great companies! Thanks for spreading the word about fair trade, I really didn’t know much about it. I would love to try their products. This looks fantastic! Count me in! Yay fair trade!! I would love to win! The stuff in that box looks so fun – the wheels are turnin’! Everything looks so wonderful! I would love to try the honey. this is such a great giveaway, thanks for the chance to enter! Whoa what a giveaway! Sign me upppppppp! What a great partnership! I already buy a lot of these products anyway but would love to test out some others I’m unfamiliar with. Great giveaway! All of these products sound amazing! Thanks for the awesome giveaway! I love Green Mountain’s fair trade coffee! Well, I love coffee in general, but this would definitely increase my affections. This would be so wonderful to win! Love that you are supporting fair trade! WOW what a great giveaway!!! thanks! Everything looks so yummy! What an awesome thing to promote! I love fair trade! I really feel like it is so important, if I can’t buy something local, then it should be fair trade! Wow, so cool! I could use the night night tea. What an awesome giveaway! Thanks for sharing and helping to raise awareness! WOW! Look at all those goodies! You said the box was on your doorstep-who from? I want one to show up at MY doorstep! Also- I read your book and loved it! Any chance you’ll be doing a book tour on the east coast? I live in the Boston area, and I know you have lots of fans over here!! So pumped to see Rishi tea in the basket. Rishi is distributed from Milwaukee, my hometown. I haven’t had it in a very long time. Oh! I would LOVE to win this basket, and I applaud you for raising the issue on your blog. Wow! what an amazing collection of items. I must admit I’ve read a lot of recipes with agave nectar and have always substituted honey – I’d love to be able to try it though! How fun! I use to work at Starbucks and had to learn a lot about Fair Trade since we sold Fair Trade coffee. Love that this package has much more than coffee though!! Awesome giveaway! TCHO chocolate is the only one of these I’ve had so far, but man, it is incredibly delicious chocolate! Sounds awesome, thanks again for your posts. ahh this giveaway looks amazing! What’s good about this offer is that you get more than a tiny bit of the product to try with different things or just by itself. There are so many great things in this basket! That would be awesome to win! This is an amazing giveaway! Thank you for the opportunity! What a great giveaway! That is a LOT of amazing stuff! I love to support fair trade organizations. Just a great program to provide opportunities to woman and families that need it. Theirs going to be a local fair trade show that i’m looking forward to going to. Would love to win this. I love supporting fair trade! what a great idea! Oh, wow! What a great idea! I only wish I lived in a community where it was easier to find this type of products. Thank you for promoting them! Everything in that looks amazing!! I’m in!! Yay for fair trade! It all looks amazing!! I love Easter in October! What an awesome giveaway and great company to support! I would LOVE to win! Awesome giveaway, and such a great cause! Love this box of goodies. Happy Fair Trade Month! I love fair trade and this box of goodies looks amazing!!! This looks awesome! I try to buy a lot of fair trade goods as Christmas presents. What a great giveaway! Definitely going to check out Fair Trade website. Thanks! Yum! it all looks so good!! Awesome giveaway! I try to by fair trade as much as possible! What a great give away! Those products look fantastic! What a lovely box of goodies! I love fair trade! Did you say Chocolate covered banana chips? Whether I am the chosen one or not, I will find a way to get my mitts on some soon. What a lovely gift basket! I miss getting Easter baskets! I used to love them so much. This would be so fun to have! I never knew there was a Fair Trade Month. What a wonderful idea for a gift basket too. I will have to remember this gift basket! I love what Fair Trade is doing for so many! You had me at agave nectar! what a great giveaway, thank you!!! I’ve recently committed myself to using more fair trade products, and this box seems like a great place to start. Love green mountain coffee and badger balm!!! That’s my kind of basket! Looks fantastic. what a great idea to get the word out about fair trade. All of that looks delicious!! Thanks for the info, I had no idea there were so many different products to choose from. I have read the Java wars about the coffee industry. I try really hard to buy only fair trade coffee! Thanks! Wowza!! Thanks for hosting this awesome giveaway! I’d love to try those chocolates and coffee–how cool is it that you can do good while enjoying such yumminess!!! Thumbs up for Fair Trade. Looks like an awesome win with some great products! The product that intrigues me most in the photo above is the banana and acai spread. Would that be included!?! Count me in for banana anything. This looks so great and for a great cause! I love foodie Easter baskets in October! Hi Jenna! I am an English major (like you 🙂 and aspiring writer, but I also love to bake and cook, often drawing inspiration from your recipe posts! I believe in spreading peace through everyday actions, and choosing Fair Trade products is a simple, thoughtful way of making the world a more just, peace-filled one by ensuring that artists, farmers, etc. are paid a fair wage for their work! In one of my favorite college classes – Intro. to Peace Studies – I gave a presentation to my classmates on Fair Trade and brought “samples” a.k.a. delicious fair trade chocolate from my local Ten Thousand Villages store. Delicious, educational, and fun! I hope my peers learned that the choices we make as consumers have a HUGE, positive impact when we choose Fair Trade. Thanks Jenna! What a great giveaway! My whole family would love this! What a great giveaway! Fun collection of goodies! That looks fantastic! I didn’t realize they had such a variety of products. Would love the winner of this amazing gift! Wow, what a phenomenal giveaway!! What a very generous giveaway! Choosing Fair Trade products just makes sense. Wow! What a great giveaway! I try to support fair trade whenever I can. Love your website! What a fantastic collection of goodies! I would love to win this box! I use Far East and Green Mountain products all of the time….would love to try some of the others. What a wonderful collection of goodies! Awesome giveaway! this is great! i absolutely love fair trade!! What an incredible giveaway! Thanks Jenna! Jenna – You really are an inspiration. An amazing chef but most of all, an amazing person, and you prove it again and again. Fair Trade is so important and I’m really glad you’re bringing awareness to your readers. Thank you for the fun, delicious and inspiring blog posts! Wow! What a treat…happy Fall! This a lovely giveaway, Jenna! It sounds like you’re having a wonderful October all by yourself, in addition to Fair Trade month! All of these products look fantastic! I’m a huge fan of TCHO chocolate… Fair trade and they’re our neighbors… did you know they’re located in SF? I love buying fair trade products! This is such a great cause! Oh wow that all looks awesome! Would sooo love to win this!! These fair trade goodies look wonderful! Lots of awesome goodies in this package. And yay for fair trade! I’m always looking to try new products! everything looks delicious! Thanks for having another giveaway – especially a Fair Trade giveaway! The fair trade link is so informative! I’m glad I have a reference now to crosscheck my brands! It’s one of the simplest ways to pay it forward! i find the Fair Trade stuff to be some of the best products anyway. It’s a win win. What a wonderful collection of giveaway items, thank you!! Thanks for offering this give-away! The products sound wonderful! Awesome goodies! I didn’t know some of that was fair trade!! I’ll have to buy it more often! My Favorites, all in one place! This is great, thank you for posting about fair trade! I remember first being really aware of these issues after watching a movie in Geography class at UC Berkeley about bananas! That sounds like an amazing gift basket! I love Fair Trade products, it’s such a great support that affects everyone so positively. Thanks for the giveaway!! Cool! What a great giveaway! Thanks, Jenna! This sounds amazing! I just learned more about the Fair Trade process in my Sustainability for the Common Good Geoscience class this term. I would be more than excited to get such a cool box of treats! What a dream box! Such good thought and intent behind the companies- Would love to try everything and hopefully find new favorites! What a great giveaway – thanks! Ooh this is so cool. I would love to win. Go Fair Trade! I love fair trade. Pick me, pick me. I would love to win this. Thanks for the chance to win! Who knew this month was fair trade month – makes me want to challenge myself to only buy fair trade at least until the end of the month. This is such a great basket of treats to win. What a wonderful giveaway, and so great to draw attention to such a good cause! How fun!! I love trying new stuff – great introduction to more fair trade goodies! everything looks great in this giveaway! Pick me!!! My husband keeps threatening my grocery budget bc I just switched to fair trade chocolate! I need help! There is a wonderful fair trade shop in my hometown that I love to shop in and a trip there has become a favorite outing with my nieces and nephews when I visit. Thanks for featuring fair trade! Ahh! I could so use this! We keep ourselves on a pretty tight grocery budget so fair trade goodies are a nice treat around here. It is small efforts like through Fair Trade that helps to make microeconomic and most powerful changes to a country. I have always been a fan of Fair Trade. Anthropologie usually has at least a couple of necklaces each year that sponsors Fair Trade. Yes, it does help individuals that needs it the most, but also the products you receive are natural and better for you. I would love to try these products. Thanks for the giveaway! A great way to support such a good cause! Boxes of food are always wonderful. Fairtrade boxes of food are even better, I imagine! This looks like a wonderful giveaway! Have a great weekend! Pick me! Pick me! Yippee! what an awesome giveaway! love being able to support products/companies that seek to help those across the world in need. thanks for posting! btw- congrats on all the great things going on in your life! many blessings! Yummy! Love your site and would love to win! What a cool giveaway! Thanks, Jenna! This is such a nice giveaway, Jenna! PS congratulations on all the success with your book! Everything looks so amazing and it is such a great way to support fair trade! I love fair trade products, I haven’t had the chance to try most of these and would love to! This is such a good idea! I would love to try out these wonderful products from around the world that support such a great cause! What a marvelous giveaway! I was just shopping for coffee yesterday and looking for fair trade beans. Would be great to try some more fair trade products! Great giveaway and a great cause! This looks so great! All yummy and fun things – and an awesome cause to boot! Hope you had some happy travels! I can’t wait to read your book. That box looks amazing…I actually have a few of these items in the pantry right now! What a great idea! Fair trade is awesome. Em @ Yep. I Ate That. I try to purchase fair (and direct) trade products as much as possible! What an awesome idea!!!! and it all looks amazing! Happy weekend! Ooooh! I’m especially excited to try the coffees. So many great items! Great giveaway to sponsor. What a great variety of fair trade items. I would love to win this! Yum! So many delicious things to try! What a great way to celebrate Fair Trade! Wowee! That is a great box! I’d sure love to find it on my doorstep one day. How fun! These look amazing! That’s an awesome box of goodies! Yay for Fair Trade month! The goodies look awesome. Oh I would SO love to win this! I love to support responsible companies. Thanks for putting this out there it is such an important issue! I have switched over to fair trade coffee and chocolate but never knew there were so many other fair trade products on the market. I have switched over to fair trade coffee and chocolate but never knew there were so many other fair trade products on the market! Would absolutely love to win this!!!! Love supporting fair trade! I’d be most excited to try the Sunspire chocolate chips because I’ve been too cheap to buy them – I just use a chopped up chocolate bar that’s fair trade. This gift back looks great! Love that you’re celebrating Fair Trade month! I always buy fair trade, when it’s available. What a great way to promote and bring awareness to a great cause! Thanks for doing this. I love to support fair trade! This is such a great reminder. My husband and I recently joined a CSA and it has drastically changed how we think about the food we eat. Great idea for bringing awareness to fair trade! Looks awesome! I’d love to try out these goodies! I love fair trade! There is an amazing store called 10 Thousand Villages that features all fair trade gifts, check it out. We have a few in CO, not sure if they are all over. This is an amazing box with lots of goodies in it! I didn’t know it was ‘Fair Trade Awareness’ Month at all! What a fantastic cause to support. You’re awesome! Jenna this giveaway is the best one yet! Im crossing my fingers that you pick me! It’s so nice to see the availability of fairtrade products grow these days! Wow. This looks amazing! This would be wonderful to win and give as a Christmas gift! Great giveaway for a great cause! Wow! All of the products look and sound delish! The joys this basket would bring! Great giveaway with a great message! 🙂 Love all of the products! Mmmmmm, this looks like an amaaaazing array of goodies! Ah! This looks fantastic. What a great give away idea! Buying fair trade is so important! I wish it was a more commonly discussed issue. That box is full of yummy stuff! I wanted to let you know that I made the roasted chicken a few weeks ago, it was fantastic! I can’t believe I haven’t tried that before, it was super easy and very delicious. Tonight I am making your spaghetti sauce, thanks so much for the recipes and the inspiration. This looks like quite an amazing box of goodies! I love reading all of your recipes! What a great cause! I would love to receive this box of goodies. Wow! I was just educating some students on what Fair Trade is. What a fantastic giveaway! These are all fantastic products. This package looks absolutely wonderful! I love Green mountain coffee, would look forward to learning more about these other Fair Trade Products. Before coming to the U.S. I lived in a third-world country and I know oh-so-well about “unfair trade”. It fills my heart with joy that people like yourself stand up for the rights of farmers overseas and support them with your dollar. Right on! I know a lot of people who don’t take the time to investigate fair trade items because it means going out of your way, but it’s wonderful to help people to realize what an awesome privilege it is to help those whose opportunities look different than ours! Thanks for advertising this month that could helps so many! I want to make some of your goodies with this set of fair trade products! I made your homemade pizzas the other day and they were delish! I support fair trade all year long. Great post reminding about that important cause. I always look for fair trade items whenever I shop. Sometimes hard to find! Thanks for the giveaway opportunity. Great cause and great giveaway! This is an awesome stuff!! Would love to win this! Would enjoy this! Love Fair Trade! I would love to win! Great basket for a great cause! This looks like great stuff! Thanks for the giveaway! Great idea to support. This is amazing! Thank you. Live your blog and this great cause! What a great box! I really want to try the tea and the soap. What an amazing giveaway! I buy fair trade whenever the option is available – it’s so important to do so! Great giveaway! Would love to try all the goodies! I love buying fair trade. So fun to do a giveaway of items that are fair trade and learn of new products. My pantry would be so happy!!! All of those goodies look fantastic! I am going to look for those brands in my local store. wow! what a wonderful basket of goodies! I wish more people supported fair trade items – I definitely do! Awesome! Thanks for hosting! So what is your ONE favorite item in the box that you could see yourself buying repeatedly? I would sure love that box! This is also my chance to tell you how very much I loved your book. From beginning to end it was a page turner. I’d love to win this! I try to buy ethically when I can, and Fair Trade certification really helps me make good decisions. So many great products and wonderful to hear that they are free trade too! What a great box! Would love to win! This basket looks fantastic. Fair trade is a great cause to support! Lots of fun new items! Think the only brand I’ve tried of those is Near East. Great to see you supporting fair trade. What an awesome giveaway! Great way to support living wages for food industry workers. It’s can be difficult to find fair trade items at the school I go to, this collection looks great! Ohh! Such a delicious looking by of goodies!! Wow! The (blogging) world is so lucky to have a person that uses her influence to do such powerful things; thank you for all you do! Wow that basket looks amazing…there is a lot of things there i would love to try. Everything in this giveaway sounds delicious (and ethical!) – my fingers are definitely crossed to win. All of these things would be amazing to have and eat. Crossing my fingers! These would be awesome to win! Thanks for hosting. Awesome giveaway! I love reading your blog every day. On my way to get your book! WOW what a fabulous basket! I love supporting all things fair trade – thanks for sharing this! What a great assortment of goodies for a great cause! Love Fair Trade products, thanks! I also love Theo Chocolate which is fair trade. What a great giveaway! I am especially excited about the coffee and chocolate, two of my favorite treats. Oh myyy, so much fair trade goodness! So much edible awesomeness! Thanks for hosting a sustainable cause. I already like some of these brands. Good to learn about the others. Sounds like a fantastic assortment – great giveaway! Yum! What an awesome basket of goodies. Sounds great! Congrats on your book!! I support fair trade when I can and this looks phenomenal! Those all look amazing–I would love to try them! What an awesome giveaway! Fair Trade stuff is so cool! There is not a better way to support families in other countries than to buy fair trade items and support the farmers that provide these products. To me, fair trade is always worth the higher price. wow very informational! 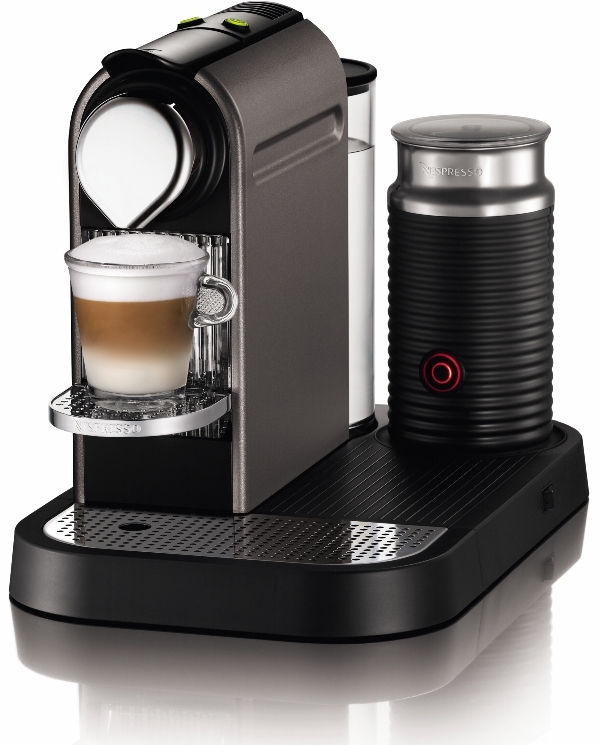 and thank you for the chance to win something like this, I will certainly be behind these products in the future! Yay! This basket would be like an early Christmas! Great cause, great basket! I would love to win! This sounds wonderful; I would love to win this great stuff! Thanks! What a great giveaway! I would love to win! Healthy products, helping families….what could be better! An awesomely generous Give-away! Yeah! Love all the fair trade shops… great stuff! Wow! What a great basket of goodies! A free fair trade basket of goodies sounds about perfect right now! Amazing giveaway ! So glad you’re promoting fair trade! What a fun giveaway! Would love to win that. I just read your book on Friday. It was so good and I cried multiple times. Great job!! How wonderful to promote a worthwhile cause like these Fair trade products. Greetings! Kudos to you for bringing attention to Fair Trade products. I am a big fan of Steez Teas. Would love to try more! Wow – so many great products! And it’s great knowing that they are all Fair Trade certified. There was a Fair Trade fair here last week but I was out of town. My mom went without me and did all sort of Christmas shopping. A few years ago she gave me a Fair Trade apron and matching pot holders made in Ghana. So excited about this! I work for Whole Foods Market and they support the same thing. I see these ingredients on a daily basis and it makes me proud to help others! Looks like a really great box of fair trade items! This is such a great giveaway. This would be so wonderful to share with my friends! i love an October Easter!! 🙂 Fair trade is the best way to go! Fair trade is my passion and I wish more food blogs would bring awareness to the cause! I am totally leaving a comment for this awesome box! I am so excited that fair trade is becoming a more talked-about option – it has the power to change many lives! What a wonderful giveaway to help support Fair Trade brands! I’ve been following some Fair Trade brands on Twitter and it’s fun to see what they post. Awesome giveaway! Yay for fair trade! I never really understood what fair trade certified was until I’ve seen it on several blogs. Thanks for opening my eyes! This looks great! I would love to try it all! Mmmmm, they all sound wonderful. Hope I win so I can try it all! Thanks for the contest. Huh! I didn’t know Near East was fair trade…cool! Yeah for fair trade and delicious food! What a wonderful assortment! Thank you for the opportunity to sample such a great Fair Trade variety! What an amazing giveaway! Perfect for a struggling college (of Charleston!) student! That looks like a great spread! What a great giveaway – such a wonderful cause! This is such a great collection! I always seek Fair Trade products at the grocery store. What a great way to highlight fair trade products! Hi Jenna! I came across your blog after hearing about White Jacket Required. And boy, with a giveaway like this one, I’m so glad I can now call myself a loyal reader! Love your support of Fair Trade efforts. Sound like a basket full of love to me. I would love to share these with my co- workers and family!!! I love your blog and think this prize is amazing and would love to win it!! Wow! this stuff looks awesome! I try to buy fair trade whenever possible! This looks so great! I may have to buy some of these products anyway! What an awesome idea! Thanks for letting us know about Fair Trade Month! These look great! I’d love to be entered in the giveaway. Thanks so much for offering this awesome giveaway! I definitely try to buy fair trade coffee and tea, but I don’t think I was aware of all of the other fair trade products out there until I looked into some of the brands you posted here. Thank you for enlightening me! Gee all those goodies look amazing! What a great collection of products. What a great cause! Kill two birds with one stone by supporting fair trade and enjoying those goods? Yes, please! What an amazing assortment of goodies! Oh my! Look at all those goodies. This is such a generous giveaway; thank you! I have been wanting to try out a lot of these brands and products! What a great opportunity! SOUNDS LIKE THE BEST PRESENT EVER. I always ask for gifts from Whole Foods and no one ever wants to donate to my cause =( help a sister out. This would be awesome, thanks! I love fair trade products! I love that I get to support the farmers and fair trade products usually are higher quaility…and just more fun! I love fair trade coffee and most of these items i didn’t know were fair trade, that’s great! Thanks for the important information! U Rock! I studied geography and business and school. I am FASCINATED by the connections between economics and culture, this is such an amazing giveaway!!! Wonderful assortment of products. Like what Fair Trade does for hard working people. What an amazing giveaway/cause. Thanks for hosting! Wow! That looks like the ultimate gift basket. Perfect way to brighten up this busy semester I’ve got going on! Have a great day! The link to the Fair Trade website was so helpful to me. This giveaway is fabulous. Very special items for a great causes. Not gonna lie, can’t wait to try the coffee and chocolate! Love supporting fair trade products! What an awesome collection of treats!!! Thanks for the chance to win! fair trade is great idea, more companies should take this model. Yum.. A box with coffee and chocolate, what more could a girl ask for? Wow! What an incredible giveaway! I would love to win! What a fun giveaway! Looks like my kind of prizes too:) Thanks! Looks like a great box full of awesome products! Love Fair Trade products! What a fabulous giveaway! I love fair trade!!!! I agree with Rachael, it is a wonderful month!! Free trade foods are so good, they sometimes cost a little more, but it’s that much better! Thanks for hosting! Awesome selection. Throw my name in the hat! Awesome opportunity and sooo generous! I would love to win! What a great idea for a giveaway. Would love this box of goodies! Thanks for doing this, Jenna! What a great cause. Thanks for all you do! What a splendid looking give away! What an awesome giveaway! You are def right, it is like Easter in October! I love that you are spreading the word about Fair Trade! What an amazingly generous giveaway! Best giveaway. Would love to win! What a great idea! I buy fair trade coffee and chocolate whenever I can, but I was not aware of so many ther items! What a great idea for a giveaway! I love that you’re promoting fair trade goods AND blessing someone with a basketful of goodies! I will now be buying Fair Trade products! Thank you for the info!! Um wow, this is a lot of comments on this post! I love your website! Thanks for all you do! That is so awesome! I work at a fair trade Cafe in Central Asia. I think it is actually the first cafe to sell fair trade coffee and promote it in the country that I live in, but I could be wrong about that. I still can receive stuff in the states and am a legal resident, so I do qualify! I don’t really care if I win though. I am just really excited to see you promoting fair trade because I think it is really important and very Biblical as well! Props to you for being involved 🙂 Blessings! YUM!! Fair trade is great. What a great giveaway! All of the products look fantastic. Yum! What a wonderful giveaway. Great treats that support a great cause! I think i’d eat all those items in a couple days. whoa, this is awesome. thanks! What a great assortment of brands and products! These products look fantastic!! I am trying to eat more fair trade as well as lower sugar/carbs. Quinoa is one of my favorites! And I would love to try the Nighty-Night tea out on my 11 month old (jk!) (kinda!). What a great giveaway! Everything looks great and there is such a great message behind the products. What a fun box of goodies!!! I love fair trade products! That Nighty-Night Tea looks perfect, and a I love the great mug to go with it as well. Thanks for the giveaway! fair trade products are such an awesome way to be aware of the origins of the products we buy, and to “vote with our dollars” for responsible and ethical commerce! What an awesome package to arrive home to after being gone for so long. What a wonderful idea…. and a great box of goodies! Thanks for the giveaway! Hooray! Gotta love fair trade products of all sorts! Such a fun box to giveaway (and win)! Oh my goodness, I could use a pick-me-up like this goodie box! Thank you Jenna! What a great giveaway! Great products and a great cause! What a great chance to try these delicious sounding products. I’ve got my fingers crossed! This all looks so delicious! Awesome giveaway! I love the Near East brand but I’ve never tried their Quinoa!! How exciting! Love supporting fair trade products. Fair trade is the best! What a great idea! Everything looks delicious. What an amazing collection of goodies! Wow! What a great box of fair trade goodies!! Coffee and chocolate are my two favorite foods/beverages. Ever. But once I realized both of these are often made by laborers in unfair conditions, I decided I would only buy fair trade coffee or chocolate. There’s no reason that buying my two favorite things should support unfair labor. Love your blog 🙂 I’m a vegan, so I can’t always cook your recipes as they appear, but your writing and photographs draw me in and inspire! What a great mix of goodies! My favorite Fair Trade product is probably Peet’s Fair Trade Blend coffee! This looks amazing! I work around a lot of these everyday but haven’t had the pleasure of using/eating most of them. Looks great! They’ve started selling fair trade coffee and other products at my university. Small steps like that make all the difference. Love this! Am definitely going to start shopping on their site. wow that looks amazing! what a great way to get fair trade products out there! Yummers! All of these products sound wonderful! This is awesome, love the fair trade cause! Wow! looks like a great assortment of items. fair trade is such an important way of conducting business, I always favor those options whenever financially possible. What a stacked box!! Just knowing a product is fair trade makes it taste better…no? looks like a great giveaway! This box looks wonderful!! Thanks for the giveaway Jenna!! What an amazing box, everything looks great! That basket is gorgeous. Thanks for sponsoring this, Jenna! wow.. thanks for such an amazing giveaway jenna. & also thanks for introducing me to fair trade. what an incredible concept. Gotta love fair trade! We have an awesome store near my hometown– Ten Thousand Villages– that is fair trade. Amazing! Happy Fair Trade Month! So happy you are doing a fair trade giveaway! What a great cause! Fair Trade is truly wonderful! What a wonderful cause! Thank you for bringing attention to fair trade! That basket looks awesome & more so bc it’s fair trade. Fair Trade is wonderful. Would be thrilled to win this especially for the chocolate! Fair trade is so a great! I would love to try all these wonderful goodies! I love this! Such a fun giveaway!! Fair Trade is such a great cause. sounds phenomenal! love these brands — especially tcho + green mountain. wow this is such a great giveaway!! I love all of those things…pick me! Yeah fair trade!! How all food and goods should be. What a lovely basket of goodies. I’ve been supporting Fair Trade since college! How wonderful! What a great box of goodies and a wonderful way to spread the word about fair trade products. I’d love to win! Fair Trade products are not only yummy and good for us, we are helping families around the world improve their standard of living. That’s a win for both sides! Looks like a great bunch of goodies! That box looks amazing, I can think of about 5 ways to use each of those things right off the bat. PS- I had no idea there was such a month, but I’m glad there is. Fair trade products do so many good things for the world, it’s an idea I wholeheartedly support! Love Fair Trade coffee and Badger Balm! Thanks for spreading the word. Love your blog!! Green Mountain is my most favorite brand of coffee. What a cool group of gifts. Thanks! This is such a great way to celebrate the month!! Thanks for the awesome giveaway.. I have my fingers crossed! I had no idea so many items were available fair trade. Great giveaway! I try my best to purchase products I know are Fair Trade…and now I have some handy suggestions! Thanks! This is great! Fair trade it a pretty great organization, I learned about it when i use to work for WFM. I love that you are sharing, and I would love to win:) Thank you! I just began reading your blog and I am loving your recipes and your book reviews. The fair trade basket looks awesome! Chocolate, agave, honey, tea, chocolate…on and on. So much great food! Love me some fair trade goods. Chris Martin was the first person who brought to my attention the importance of fair trade items at a Coldplay concert…random place to find out about that! Amazing ingredients! Thank you for posting these. oh man! all that stuff looks great! When I read your blog and see the giveaway I am grateful, happy, hopeful and :). What a great giveaway! Thanks for the reminder about fair trade month. What a great giveaway! Such an important cause. Thanks for the reminder. Love your blog! All of these products look great! This giveaway, AWESOME. The photo at the beginning of this post, BEAUTIFUL. I would be thrilled to win this! Green Mountain Coffee is my favorite, and I would love to try the quinoa! What a great giveaway! I would love to win. What a wonderful giveaway! Jenna, your blog rocks my world!! What an awesome giveaway! Would love!!! Yes! I love Fair Trade coffee! What a fun giveaway! It would be really fun to experiment with all of those goodies! BTW I just tried Biscoff spread and it is as amazing as you said! This looks amazing! I would love it!! Oh my gosh! This is such a wonderful thing to sponsor. I’ve tried a few of these products, and loved them. I’d love to try more! love supporting fair trade!! btw, made the cookie butter cookies and was told they were the best cookies ever! i have the salted caramel cookie bars in the oven now. can’t wait to try them!! yummy!! Great idea! I’ve been supporting fair trade whenever possible for a decade. Thanks for the giveaway and promoting such a good cause! Wow! What a great giveaway! I would love to try the items in this box of goodies. Thanks so much for the chance! What an awesome collection of goodies! And a great way to spread the word about fair trade! Thank you for the giveaway! Wow what a giveaway. Great products, and great cause. Thanks Jenna! 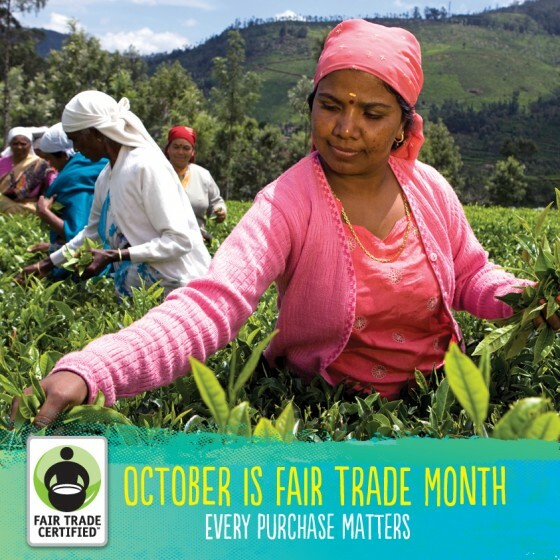 I consider myself someone who always support Fair Trade, and I had no idea Oct was Fair Trade month. Thanks for the information! And how good does this all look?! What an awesome giveaway! I love supporting anything Fair Trade! Comment on this post! 🙂 I’d love to win this! I believe in purchasing fair trade products. Thanks for the chance to win some. Tons of fair trade goodies! Wow! What an amazing box of fair trade goods! I am so excited by this generous offer! Fair Trade goods are a win-win! This is amazing… I hope I win! What a lovely giveaway! It’s wonderful that you’re promoting fair trade too. 🙂 Namaste! What a great giveaway and cause! OMG such a fun box full of goodies! This is a fabulous giveaway and a great way to celebrate such a wonderful cause! All of this stuff looks delicious! Would make some wonderful meals for hubby and I! Fair trade is such a great cause and this is a great giveaway! Looks good, and glad to know purchasing those products help out people in need. TCHO is my favorite chocolate! great giveaway! thank you, love all the products! These all look amazing. I love fair trade stuff! Great products and such a good cause. I’ve always wanted to try Madhava Agave Nectar! Fair trade is so important, we really need to support those who work so hard to produce products like that. What a great giveaway and great cause! Excellent post. Great giveaway! Excited about the tea! awesome 🙂 hooray for fair trade! Jenna – that basket looks amazing!!! Thanks for giving us a detailed description of the basket items – I’m definitely purchasing some items this month!!! Looks so yummy! I love items that are fair trade. Excellent assortment, gift baskets are always so much fun! Oh yum, what a great basket! This gift basket looks awesome! I have been wanting to try agave nectar for awhile now. Oh wow, what an amazing giveaway! Would love to win his as I fully support fair trade. Fair trade is a concept I learned in my last couple years of college and I was shocked that I didn’t know about it sooner. This is an amazing topic and truly an amazing basket of products. Enjoy and congrats to whomever the winner is! This looks like an amazing basket! Fair trade is a great concept! This is such a cool giveaway! Would love to win this box of goodies of so many of my favorite things! And a way to support a great organization that is helping others! Looks wonderful, Jenna! What a great idea! YUM! Thanks for supporting Fair Trade! Wow! Looks fantastic! Love the good vibes I get when using fair trade products! Everything looks great, and it’s even better that it’s fair trade. Thank you! Would love to win this — thanks!! Love supporting Fair Trade businesses! This looks great. It is so important to get the word out about Fair Trade! Thanks, Jenna! What a great giveaway! I usually buy my chocolate fair trade. And now that I’ve discovered Body Shop, I don’t buy my makeup anywhere else. They have some of the best products! Looks great! Count me in. This looks great. Thanks for the heads up about Fair Trade Month. I love fair trade, didn’t realize all of the products that they have. I would love to share this basket with my family! I love Fair Trade! This looks awesome. What a great cause to support. I’ll definitely be on the look out for Fair Trade Products. An Easter basket in October would be awesome! Glad you’re supporting this great cause! Wow! What great stuff. Thanks for the giveaway! Some of these companies are new to me but it is cool that it is Fair Trade. Lots of products I would love to try! Wow what an amazing gift basket, looks fantastic! Thanks for the opportunity! This stuff all looks amazing- and I love some of your recent recs for bags and scarves 🙂 Thanks for keeping us all informed of great new stuff! Looks awesome – thanks so much for the giveaway! Yes, please! This looks amazing! thanks for hosting such a great giveaway, Jenna!